The Dublin Docks Tavern brings you an Anzac Day BBQ with mates in proud support of Solider On. Spend a couple of hours parked around the BBQ with returned servicemen and share a beer with them. The BBQ is free to all & the servicemen time is also free. All we are asking is for you donate some spare change to a great cause. There will be Q&A time at the conclusion of the BBQ with returned servicemen that have served in East Timor, Afghanistan & Iraq. 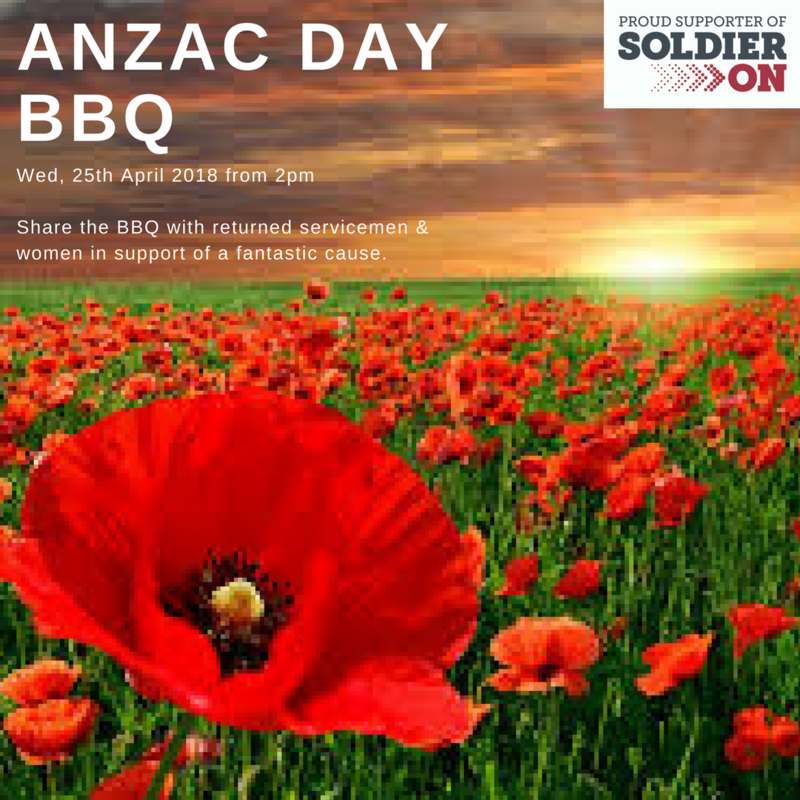 We will also have a full day of activities planned including live coverage of services around the globe and at home, ANZAC themed food specials, $25 venue voucher to any returned servicemen plus live ANZAC sporting action on the BIG screen. Traditional 2 UP from 3pm in the Sports Bar.